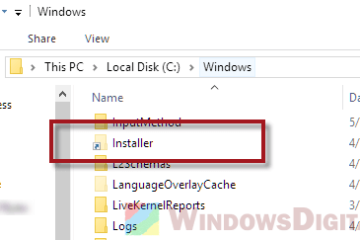 If you have updated to the Windows 10 April update v1803 (or the recent Windows 10 October 2018 Update), you may have the problem which the network computers that usually appear in your Network folder suddenly gone missing after the update. Even the entire HomeGroup or Workgroup are now missing. We don’t yet know what actually causes this to happen. 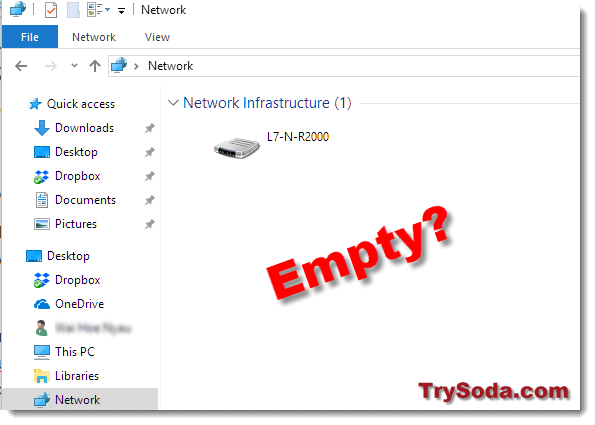 All we know is that the network discovery in Windows 10 seems to not detecting local network devices properly after the update. Here’s a list of solutions you can try to resolve the issue. Updates: Microsoft has officially removed Homegroup feature from Windows 10 since the new April v1803 update. But, that doesn’t affect the existing file sharing feature. The only change is that you won’t be able to share new files or printers using HomeGroup anymore. The shared network folders feature will still work. 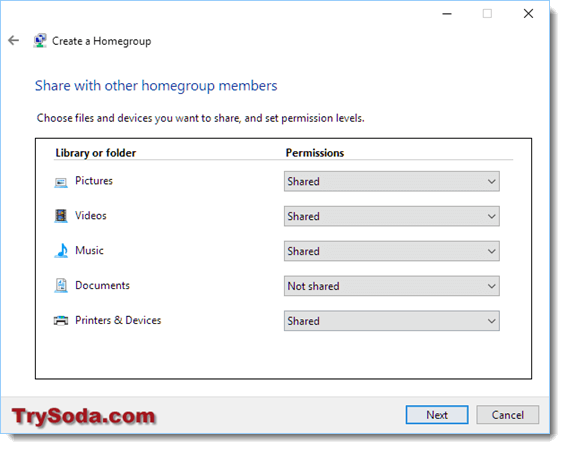 You can still share files like how you would before but without HomeGroup now. Here’s an example of how to share a folder to other computers in your network. Browse to the folder you would like to share. Select Give access to, then select Specific People. Select a user account to share. After selecting the specific user to share the folder to, when you access to this folder from another computer in your home network, you will be prompted to login to that set user account in order to view the file. So, you can create a new account specifically for file sharing in your network. Alternatively, you can also select Everyone when you share. 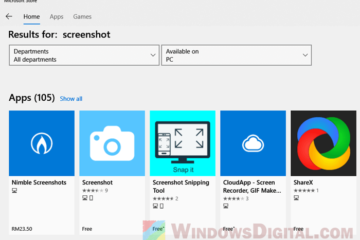 If you have just updated to the Windows 10 April update and the files you shared prior to this are not showing up, try to re-share them using the method above. 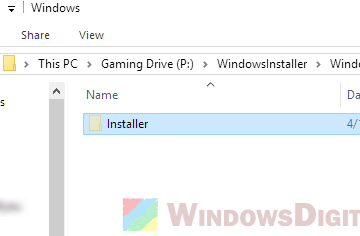 If you have upgraded your PC to Windows 10 v1803, skip this method as the homegroup feature no longer exist in the new update. This is what we did to fix the problem on our side. We re-setup the entire HomeGroup network. 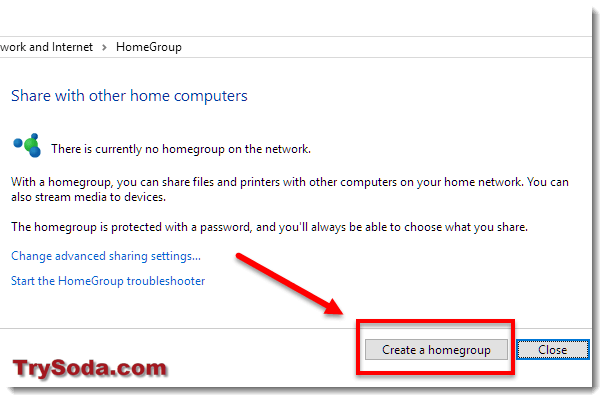 Here’s how to set up a HomeGroup in your local network. Go to Start Menu and search for HomeGroup. Open it. In the HomeGroup window, click on Create a HomeGroup. Select what types of items you would like to share in the new HomeGroup. Then click Next. 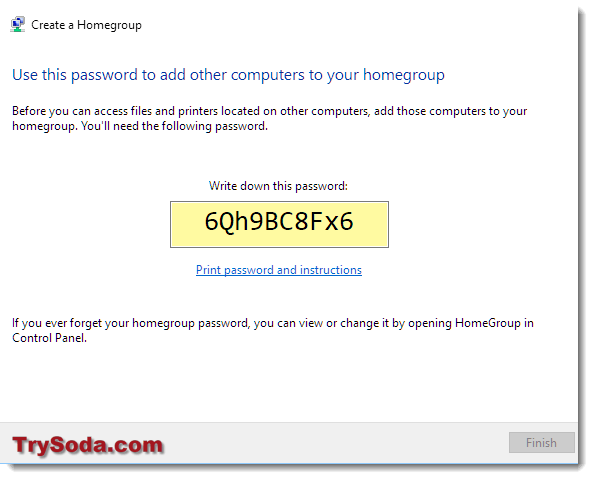 You will be given a HomeGroup password which will be needed for other computers to join the network. 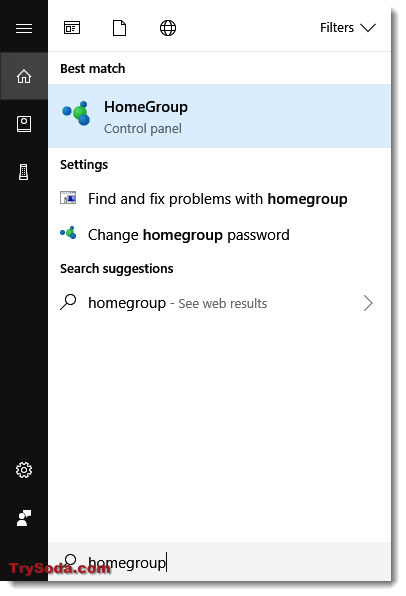 To add a computer to the newly created HomeGroup network, on the computer which you would like it to join, go to Start Menu and search for HomeGroup. Click Next. Select types of files you would like shared, then click Next. Enter the password given in Step 5. That’s it. If you want to add more computers to the network, repeat step 6-9 on other computers. Also, make sure that all your computers have Internet Protocol Version 6 enabled. It’s needed for HomeGroup network to work. 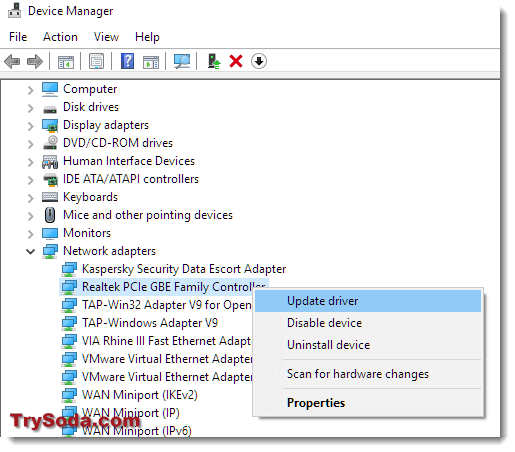 To check if it’s enabled, go to Start Menu > Control Panel > View network status and tasks > Change adapter settings. Then, right click your internet adapter and select Properties. Make sure the Internet Protocol Version 6 is checked on the list. If the above fix didn’t work out for you, try to update your network adapter’s driver. 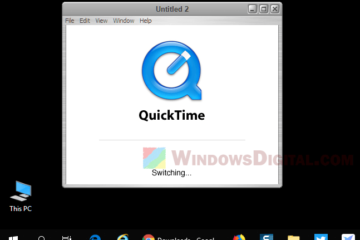 Network computers not showing up can also be caused by outdated network adapter drivers. To update the driver, go to Start Menu. Search for Device Manager and open it. From the list, expand Network adapters. Right click the network adapter(s) that you used to connect to the internet and connect between your computers, then select Update driver. If you’re not sure which is the one your computer is using, update all adapters from the list. If your Network computers are still not showing up in the Network directory after trying all the above fixes, the final resolution is to reset the network. 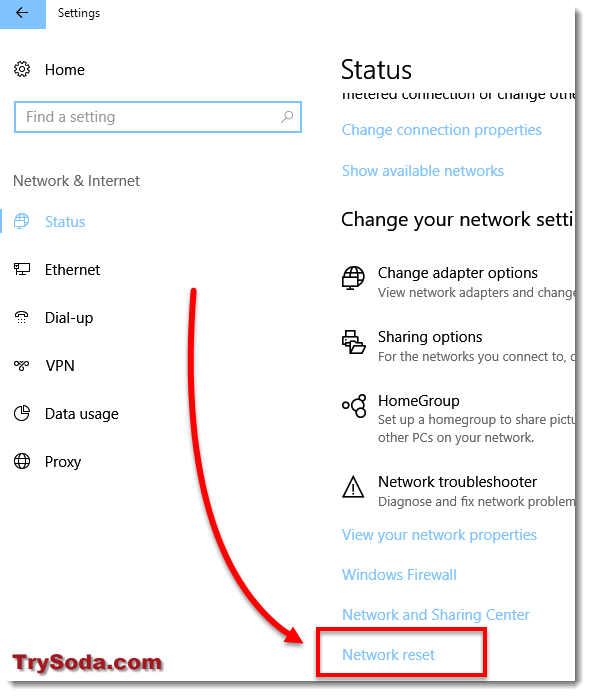 In Windows 10, there is a feature called Network Reset which you can use to reset your network and fix connectivity issues by reinstalling your network adapters, resetting your network settings to default, etc all from a single click on a button. 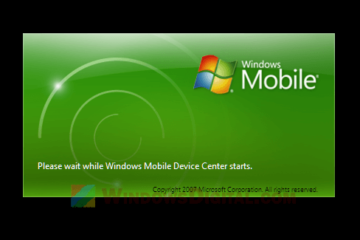 To reset your network, go to Start Menu. Search for Settings. Click on Network & Internet. Scroll down until you see the Network Reset link button. Click on it then click Reset now to reset your network. This particular problem, we believe, is just one of many bugs that Microsoft didn’t expect after releasing the huge Windows 10 v1803 update. When they have collected enough info about the bug, they will release a fix for the problem as soon as they can in the next Windows Update. So, if nothing at all works for you and your Homegroup network computers are still not showing up, wait for the next update. Description for sharing: Network computers that usually show up in the HomeGroup or WorkGroup Network folder suddenly gone missing from the Network directory, particularly after the recent Windows 10 April v1803 update.